January 29. Welcome, to this week&apos;s newsletter. Last week&apos;s "How Would You Fix Our Retirement System" article produced quite a torrent of thought-provoking comments - 56 so far. Check them out. We have had a small but significant number of our members say that it has been hard to access the Topretirements website through our newsletters. We are sorry to have heard this. We did receive some helpful advice from our technical suppliers on this point. Their advice is that clearing the cookies and cache from your computer might be helpful. Ifyou are experiencing slowness, please try that solution. Here in Part 2 we&apos;ve come up with winners in 5 more categories of year round retirement towns and cities. 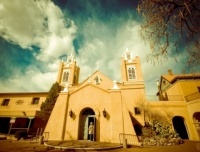 Pictured here is part of the old town of Albuquerque, winner in the "Best Place for Year Round Recreation" category. When the TVA built the Tellico Dam it resulted in a huge reservoir with a 357 mile shoreline. There are a number of little towns in the area and several large developments along the shore. Needless to say, outdoor recreation is amazing. Does It Payto Work After You Start Taking Social Security? Read the article to find out our opinion. Here is your chance to make a bet on a hot new area being developed for tourism and retirement. Panama is safe and uses the U.S. $. This area south of Coronado Beach is just opening up because of a new highway and airport - the NY Times reports 30 new developments in the area.